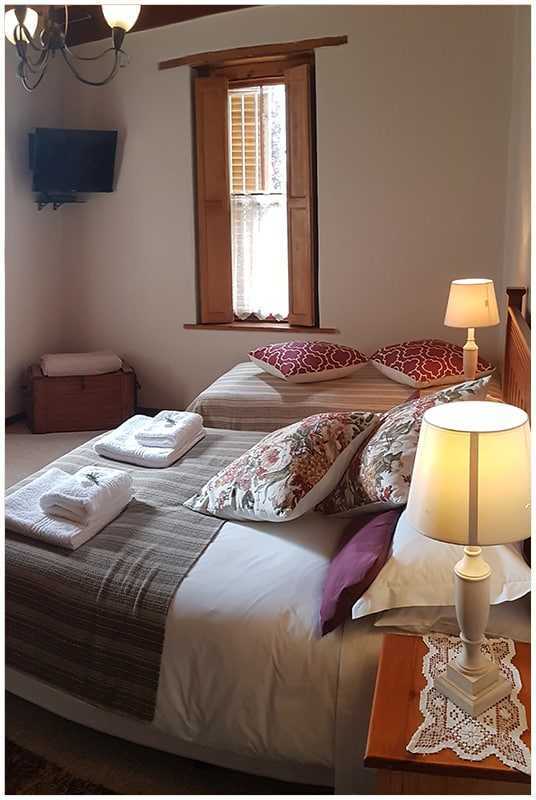 Our spacious main suite has a queen-sized bed and double en-suite bathroom. A single bed can be added to accommodate a third person. *Rates: R800 for two persons sharing. This room has no single rate rate. R400 for the third person sharing. Breakfast is available on request at R90 per breakfast. Minimum stay 2 nights over weekends. Twin room with two single beds. 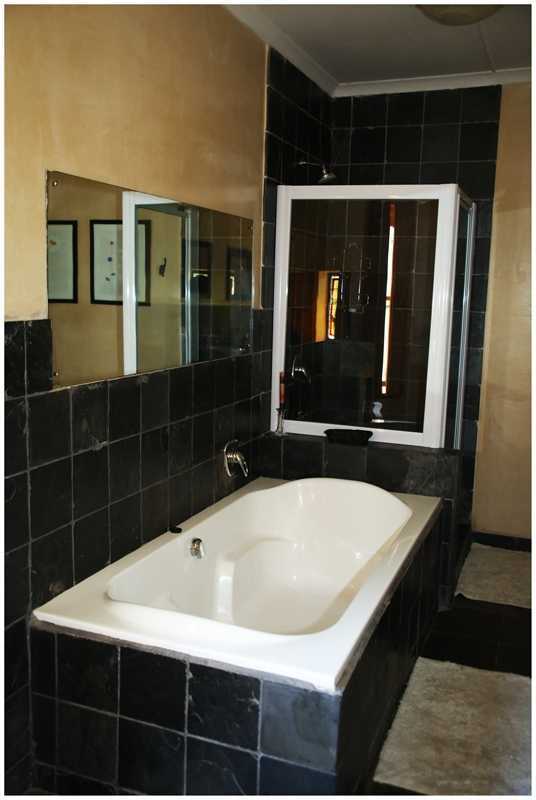 Full bathoom adjacent in passage. 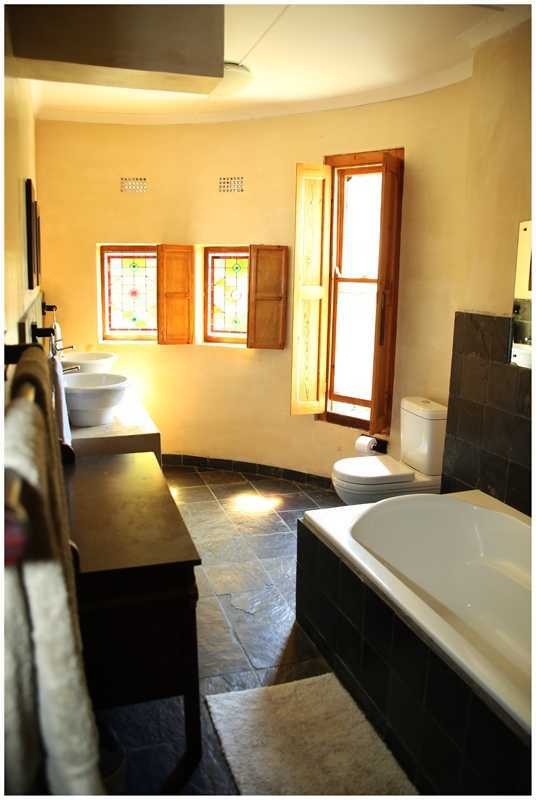 Sunny suite with double bed and en-suite bathroom. Accommodates two. 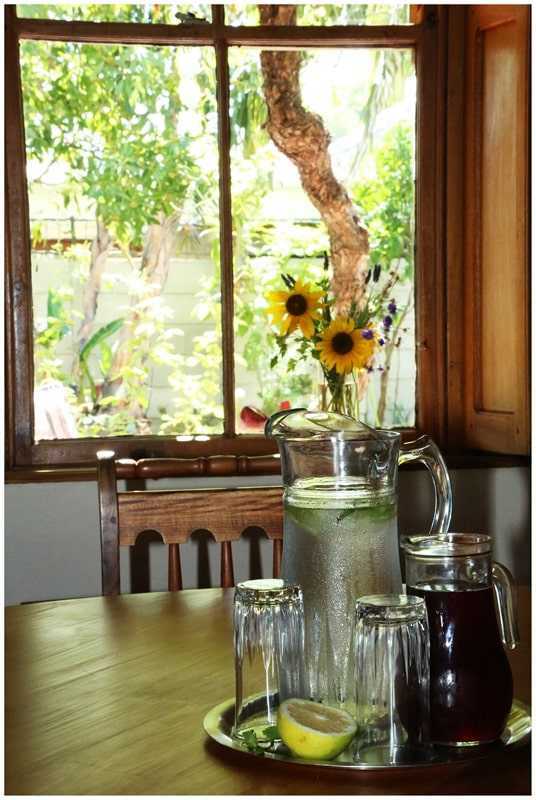 Garden cottage with its own entrance; allows for self-catering.